It varies. For some its a feeling of penetrating heat. For others its sense of calm overcoming their consciousness. For everybody it feels good. Even those who have internal torments or suffering past traumas and burst into tears assure me they are fine. Again this varies. Some people feel much better straight away, others feel the healing in two or three weeks. I do recommend a six session course of treatment. A physical ailment may reflect an inner conflict or injury or an emotional problem which a client blames on one cause may in fact relate to another. Six sessions allow both me and the client to build a relationship and resolve all these matters. I teach all Reiki attunements up to and including Masters level. The pupil must have a commitment to spiritual awareness of the Universal Energy. Before contacting me about becoming a pupil please meditate long and hard, its not easy, it doesnt make you rich or respected. That said its still worth it. Relax and be open to the energy-flow. Be open and expectant of healing. Look out for signs of improvement and when noticed, enjoy. How did you discover your gift? I discovered it by avoiding it, spending my early years trying to do anything but allow this side of me to come out. The Universe has its ways and means and I am now a full time healer and very happy. Can spiritual healing help with bereavements and other such complaints of the living. Yes, care of the bereaved tends to stop a few weeks after the funeral when in fact many are still suffering. Reiki and Spiritual Healing can bring forth the inner resources of the person to enable them to cope with the loved ones passing over. Is it necessary to believe or have faith. Absolutely not. You can doubt and still be healed. What usually happens is I do the healing and then a few weeks later I am told it got better all by itself……. Faith healing usually happens in Christian faith ministries. I use the energy of the Universe to heal, I have total confidence in what I do and it requires no faith in a personal God. Is it the placebo effect at work? If it is how does it explain the healing of animals or children who have no knowledge of the world ? I heal. That’s it. 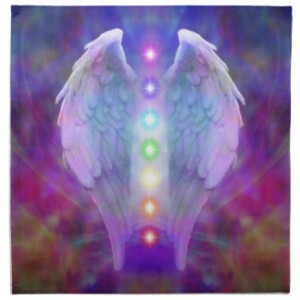 Which is better-Reiki or spiritual healing? The client is in hospital……. This is not a problem, at time of writing I am waiting for accreditation from the NHS for my skills. If the client has limited time for visitors or if the nurses object I can do absent healing.